Nails is a simple self-updating website (CMS) designed for the nail tech business but customisable to suit other beauty businesses like hairdresser, beautician, beauty therapist, etc. All content areas of Nails can be edited by the site owner on any device, with no special skills required. If you can post to Facebook, you can update the site! Nails consists of three standard pages: Home, news and contact. The news page uses our Tumblr plugin for the main news feed. Using this you simply add your news articles to Tumblr, from anywhere on any device, and it's automatically displayed on the Nails news page. We can also add your Facebook feed to the news page if required. 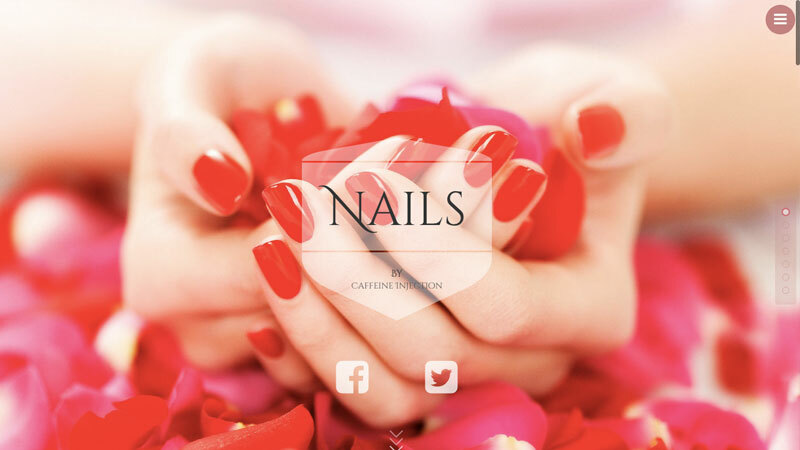 Nails costs £150 to setup, whereby we will customise the site to suit and add your content. You then update yourself as and when you want. Ongoing costs are only £20 for our regular hosting package.